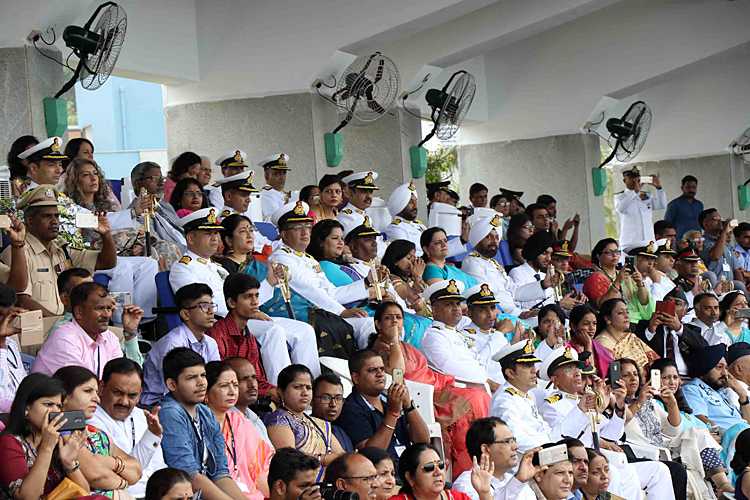 The Passing out Parade was also witnessed by the proud parents and guardians of all successful Midshipmen and cadets, as well as by a large number of local and outstation dignitaries. 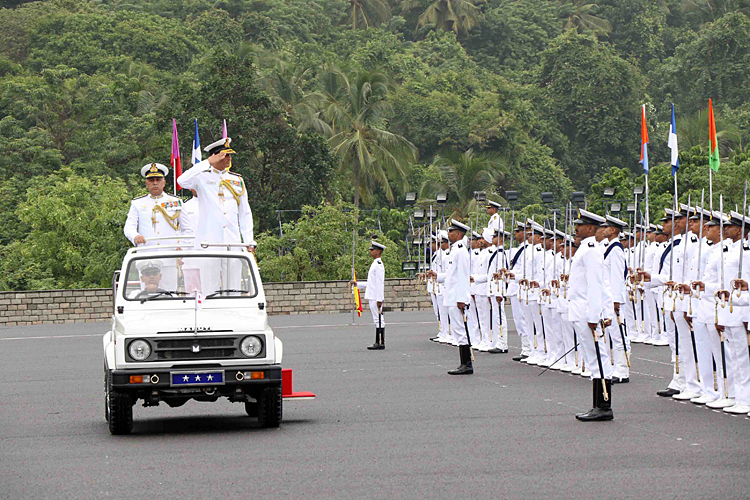 The 'President's Gold Medal' for the Indian Naval Academy BTech course was awarded to Midshipman Pavan Ponnanna Uthappa Kodimaniyanda. 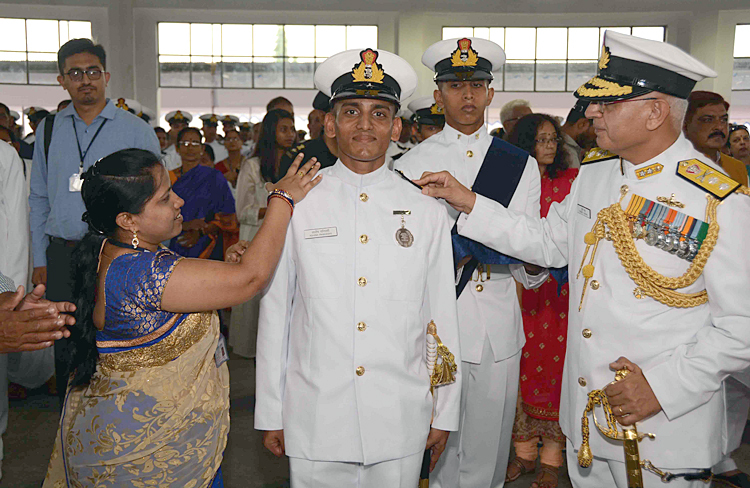 The 'Chief of the Naval Staff Gold Medal' for the Naval Orientation (Extended) Course was awarded to Cadet Arun Singh. 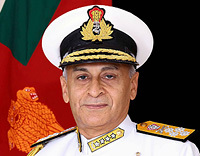 The 'Chief of the Naval Staff Gold Medal' for the Naval Orientation (Regular) Course and the 'Flag Officer Commanding in Chief (South) Medal' for the best women cadet was awarded to Cadet Kiran Bhatt. 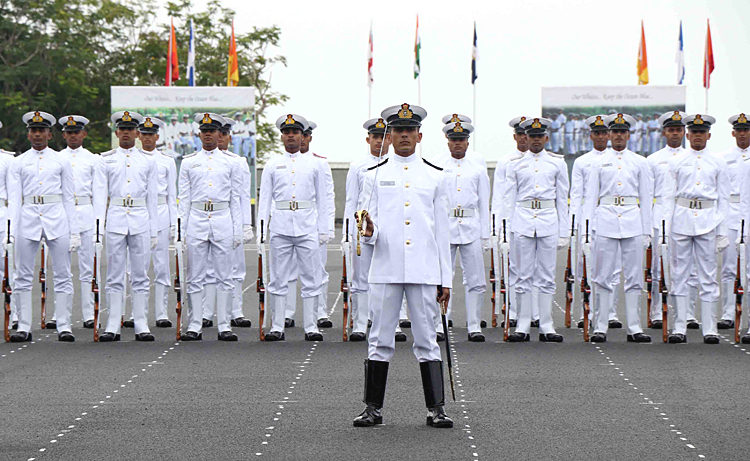 The glittering ceremony culminated with the successful Midshipmen and cadets forming up in two columns and marching with their gleaming swords and rifles held in salute, past the Academy's Saluting Dias, the Quarterdeck, in Slow March, to the traditional notes of 'Auld Lang Syne', the poignant farewell tune played by Armed Forces around the world when bidding adieu to colleagues and comrades. 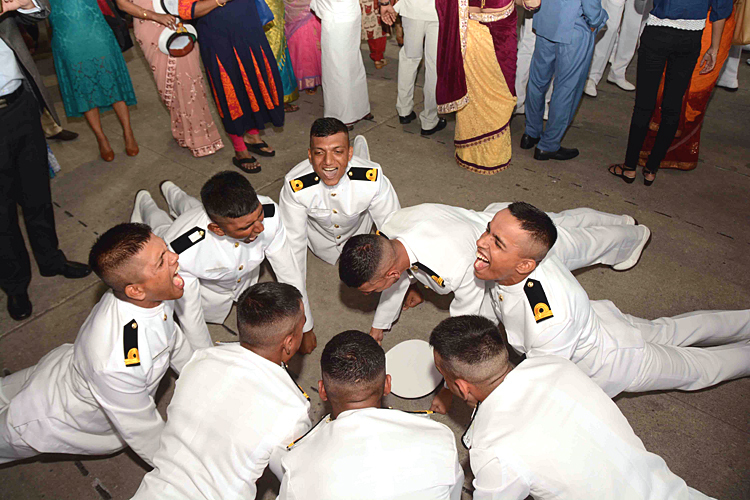 Passing out courses were bid farewell by cadets of junior terms who manned the mast and a batch of three Naval Dornier Aircraft carried out a low fly past over the quarterdeck welcoming the new officers to the Navy. 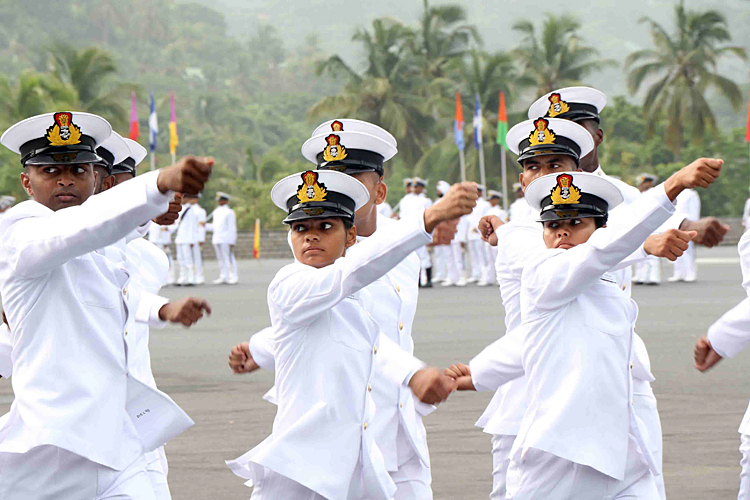 On completion of the parade, the proud parents and guardians of the Passing Out courses shipped the Naval, and Coast Guard, epaulettes, known as 'Stripes' on the shoulders of their wards, thus symbolising their transformation from 'cadets' into full-fledged Navy and Coast Guard Officers. 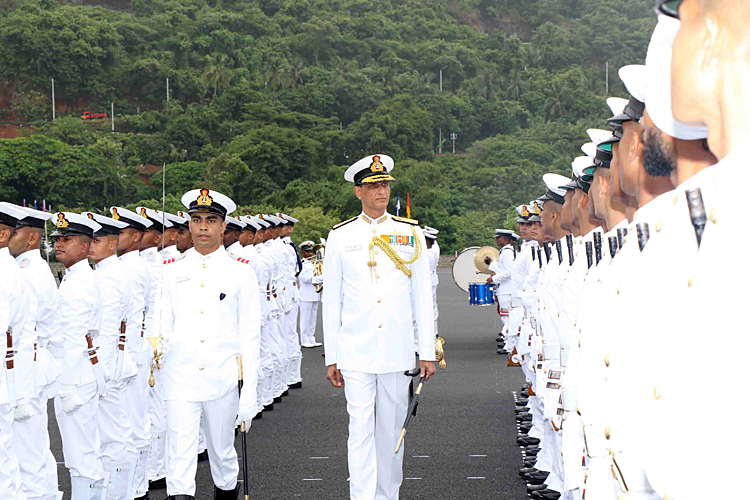 The Reviewing Officer, and other dignitaries, shipped the stripes of the medal winners and congratulated all the trainees for their successful completion of the rigorous training. 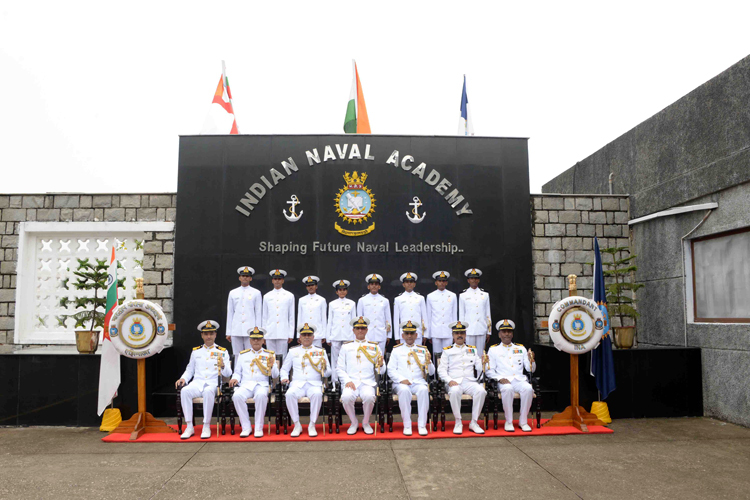 On completion of the training at the Indian Naval Academy, these officers will proceed to various Naval and Coast Guard ships / establishments, to further consolidate their training in specialised fields.